In explosive testimony before the state capture commission, former public service and administration minister Ngoako Ramatlhodi accused former president Jacob Zuma of auctioning his executive authority to the Gupta family and allowing the family to walk all over him. He said Zuma’s handling of the Gupta family with kid gloves in turn resulted in “great embarrassment to the ruling party”. 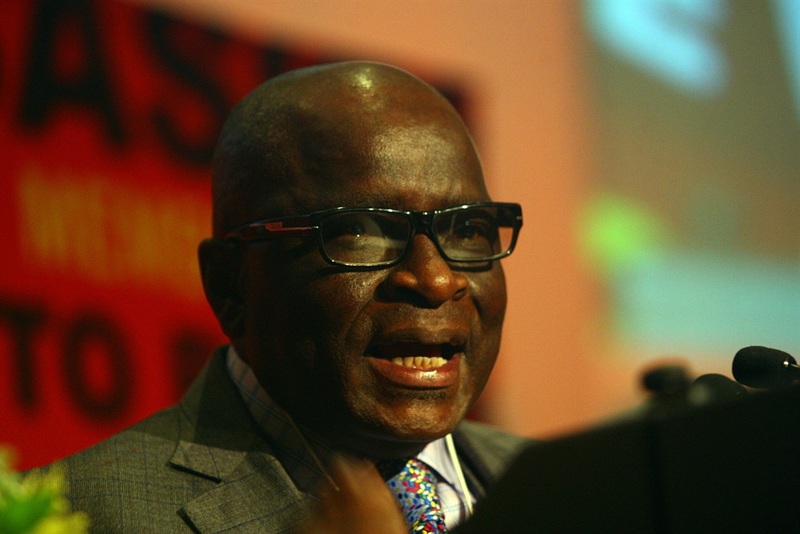 Ramatlhodi – who did not hold back in his testimony before the state capture commission on Wednesday – detailed how the ANC’s national executive committee (NEC) was at pains trying to convince Zuma to relinquish his friendship with the Guptas. “There were several times when members in the ANC NEC challenged the president to terminate his friendship with the Gupta family. The president’s response would always be ‘this family helped my children when others would not do so, what do you want me to do’,” revealed Ramatlhodi. When asked by the commission chairperson, Deputy Chief Justice Raymond Zondo, why the NEC did not take steps to seriously address the matter instead of merely requesting that the president stop his relationship with the family, Ramatlhodi responded that “the issue of factions came into play”. “Zuma had a strong faction within the ANC who also benefited from his friendship with the Gupta family, hence they defended him. The faction was unrelenting. This is why he lasted so long in power,” said Ramatlhodi. He described the party as having been “paralysed” and could not act because the president enjoyed great support. “We could not do anything. Zuma had too much power in the NEC,” added Ramatlhodi. The former minerals minister also went as far as to say that during this time when “the state was being captured, Zuma auctioned his executive authority and the leader coming after him was left to inherit nothing”. According to Ramatlhodi, the first sign that Zuma was losing his grip on power was when “he allowed the Gupta family to land their private plane at the Waterkloof Air Force Base”. He added that this could not have happened without the president’s knowledge. Ramatlhodi said the Gupta family was “good at demonstrating their power” and this came at a price. “In doing as they like, the family embarrassed the president. The fact that they were allowed to land at such a key air base was a demonstration of great disrespect. “For some of us who were involved in the [liberation struggle] that act was similar to disrespecting the country’s flag,” said Ramatlhodi. The former minister also revealed that another example of how the Guptas thrived in demonstrating their power was in the “fact that they used to summon ministers and their entire departments to their private house” and then paraded them before investors to show them how much power they had. Ramatlhodi even alluded to the fact that “the Guptas had a secretary in their house who handled the president’s diary” and could alter it as they wished. Ramatlhodi added that “we could not understand the grip that this family had on Zuma. It was like a python that had entangled itself around him”. As a submission Ramatlhodi suggested that to avoid a repeat of such a situation where “one individual, the president, could be so severely compromised, the country could change the Constitution and not give one person so much powers”.